But Kris Tucker's attorney suggests the issue might not be resolved, despite payouts of over $44,000. STANDISH — The town has made severance and health care payments to former Town Manager Kris Tucker, but his lawyer suggests the issue has not been completely settled. Kris Tucker’s contract as Standish town manager was terminated by the Town Council on July 23. “We will be communicating with the town in the coming week about a demand to resolve this matter,” attorney Gregg Frame said in an email Tuesday to the Lakes Region Weekly. The Town Council voted 6-1 on July 23 to terminate Tucker’s contract without cause, meaning he was entitled to severance and health care payments. Standish Finance Director Scott Gesualdi, who is serving as co-acting town manager with Public Works Director Roger Mosley, said the town made Tucker’s severance and health care payments on Aug. 9. Frame confirmed this week that payment was received from the town. Tucker’s total severance payout was $41,013 and he received nearly $3,000 in health insurance, according to Gesualdi. Of the total severance money, more than $14,000 stemmed from accrued vacation time. 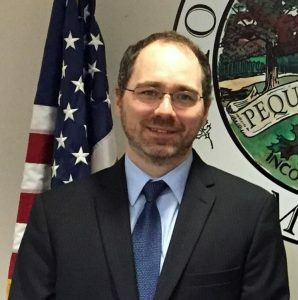 The council voted 6-0 on Aug. 14 to authorize a contract with Portland-based law firm Eaton Peabody for a new town manager search. Eaton Peabody also led the town’s manager search last year that led to Tucker’s hiring. “With the work that Eaton Peabody has done for us, I’m very comfortable with them doing it for us again,” Councilor Greg Sirpis said at last week’s council meeting. Tucker claimed the employee kicked him from behind in an apparent attempt at humor. Tucker filed a complaint with the Cumberland County Sheriff’s Office, and a sheriff’s captain said that as of Wednesday the investigation was closed, information was presented to the District Attorney’s Office and no charges have been filed. In a July 31 interview, Tucker said that a third party review conducted by human resources professional Deb Whitworth of HR Studio Group in Falmouth exonerated him of unspecified harassment claims made against him. The town denied a Lakes Region Weekly Freedom of Access request to obtain or review a copy of the third party review, and did so without confirming that the report exists. However, the town clerk responded this week to a follow-up on the information request and said that Standish paid $13,750 to HR Studio Group without specifying why that payment was made. The payment was made in two installments on July 30 and Aug. 22, Gesualdi said. Nesbitt has also said the council is limited in what it can discuss about the firing, calling it a personnel issue and acknowledging that it could possibly wind up in court. In addition to its manager search, the council is also seeking to replace one of its own members after Councilor Isabel Higgins resigned Aug. 8. The council voted 6-0 to accept Higgins’ resignation.